Find a natural item that interests you or about which you would like to know more. Learn all you can about your item. Bring your item to Texas Nature Traders at the Fort Worth Zoo and share what you know about your item with our staff. Earn points for your item and for your knowledge about the item.Trade your points for something in our collection or save them for later. Knowledge – Share interesting facts about your item. Quality – Your item must be clean and in good condition. Effort – Research and learn as much as you can about your item. Children must be at least 3 years old to become a Texas Nature Trader. Children may trade up to two items in one visit. One “item” can be a collection of five or more like items (such as five pine cones, five sticks, etc.). Siblings or friends cannot split points – each trade in and out must be done by one individual. Texas Nature Traders now offers more ways to earn points! Quests can be completed at home, at the Zoo and inside the Texas Nature Traders building. Click on the links below to view the available Quests. You can download and print copies at home or visit us at the Texas Nature Traders building. Check out the Fort Worth Zoo’s Twitter feed every Monday at 11 a.m. for the Texas Nature Traders Question of the Week (#TNTQW). 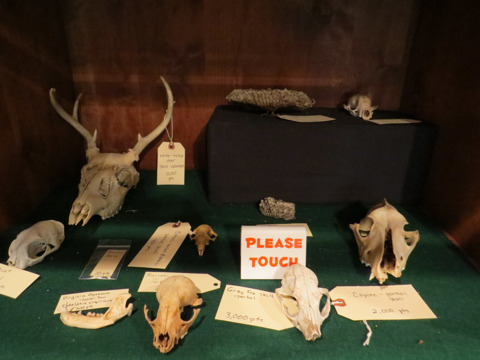 You must answer the question correctly in person at Texas Nature Traders in order to receive five points.